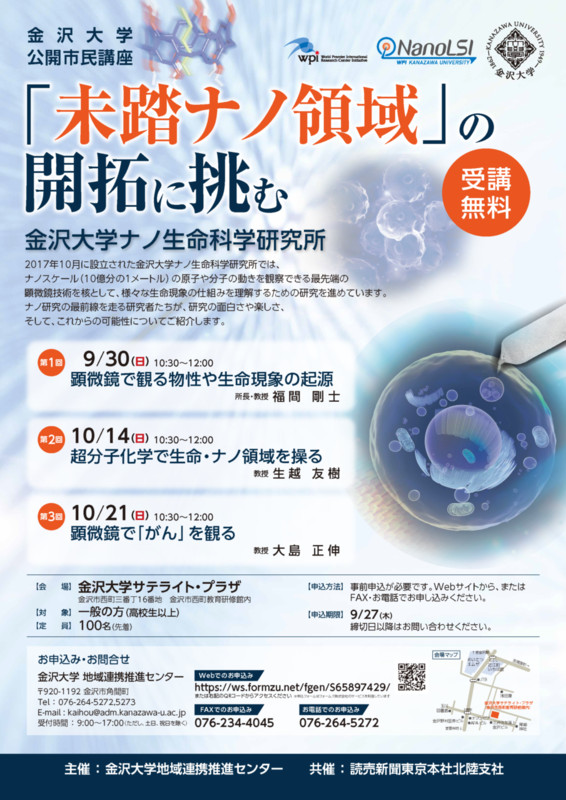 Kanazawa University 2018 Open Lecture Series, “Pioneering Unexplored Nanoscale Realms: Nano Life Science Institute, Kanazawa University” will be held. 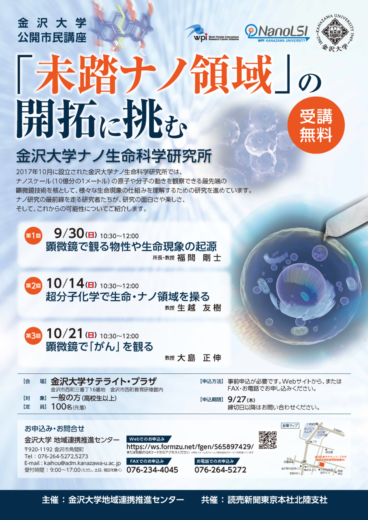 The theme of the open lectures for this year is the Nano Life Science Institute (WPI-NanoLSI). We sincerely look forward to your visit. Advance registration is necessary. Please apply online.